This wallpaper was made for a portrait commission from the National Gallery of Ireland. It was the backdrop to Kindness's oil painting of the sitter which also showed him in profile, repeated. 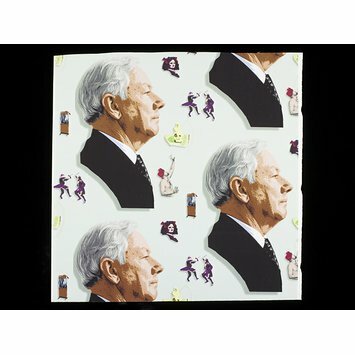 The subject of this playful wallpaper portrait is Gay Byrne, a popular radio and television presenter in Ireland. By choosing to portray him in this way, Kindness was commenting on Byrne's one-time ubiquity as a commentator on Ireland's cultural life. The figures in the background of the wallpaper refer to some of the more surreal events and guests on Byrne's television programme, The Late, Late Show; these including people dancing, singing, fighting and making sculptures from butter. 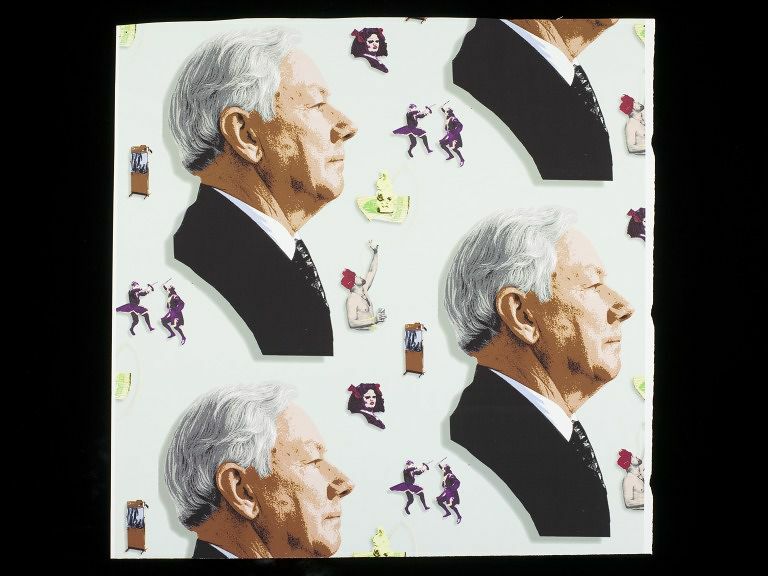 Portion of wallpaper with profile heads of the TV personality Gay Byrne repeated on a pale turquoise ground.